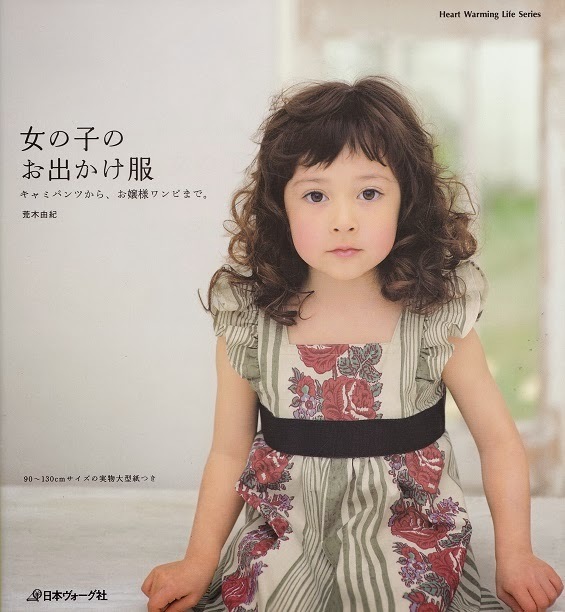 A few posts back, KayC asked if I could recommend any Japanese sewing books which include patterns. I am far from an expert in these - I only own four books and rather shamefacedly I have only sewn one pattern so far. But the good news is that when I pulled them out to do this post I was inspired to trace off three patterns so hopefully I'll increase that tally soon. 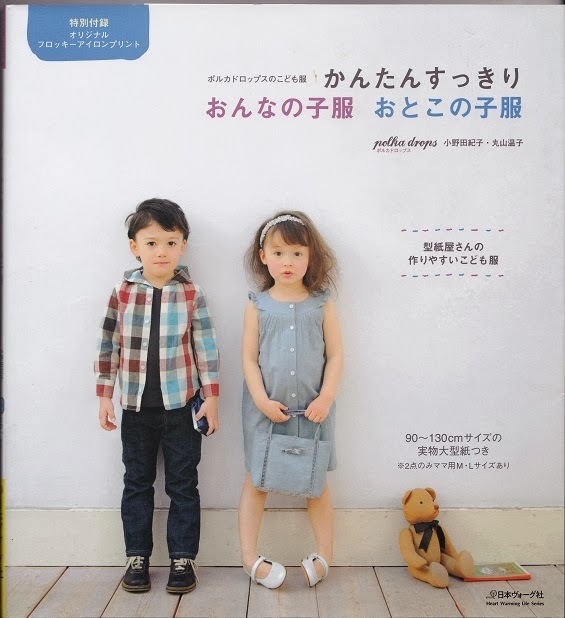 www.japanesesewingbooks.com - this site is a fantastic resource for translation of Japanese characters, reviews of Japanese sewing books, links to free patterns and all things Japanese sewing. Japan Couture Addicts - this is a French blog but it has lots of pattern reviews, finished garment photos and photo tutorials which is also extremely helpful. Adelaide Lemonade - this blog also has finished projects and tips for sewing with Japanese patterns. 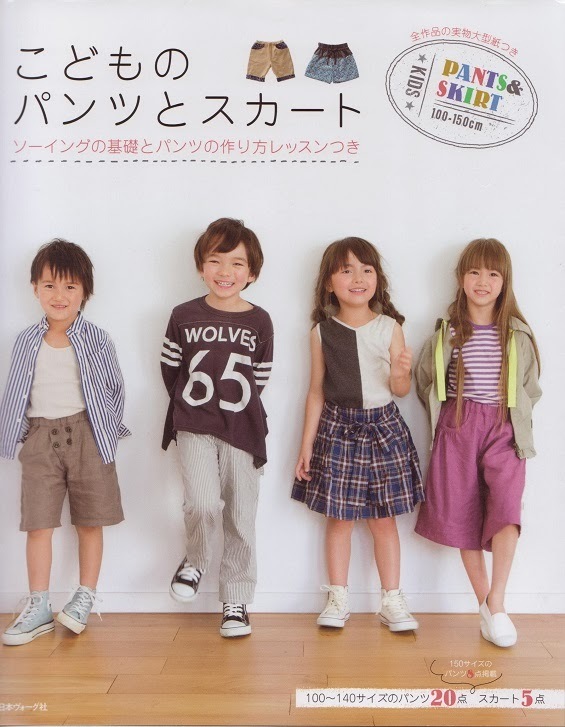 The four books I own are all children's patterns because I find the Japanese aesthetic in childrenswear to be really cute, but the grown up versions are not really my style. I buy my books from the Kinokuniya store in Sydney which has a huge range of crafting and sewing books, but you can get these from Amazon and etsy sellers as well. The pattern sheets are similar to Burda in that you fold out a large sheet of overlapping pattern pieces and have to trace out the pieces needed for your pattern, adding the required seam allowance as you go. Each pattern has a very concise line drawing of construction order, but some patterns have more detailed photo instructions as well. The sizing is based on height like Burda and Ottobre kids, and maybe it's because Anna is half Asian but the chest, waist and hip measurement for her height are spot on and the one garment I made her fitted really well. The patterns in the four books I have are mostly really simple - all of the pants and skirts have elastic waistbands and no zippers; the dresses have buttons but no zippers either; and the jackets seem to be made from knits which are easier to sew as well. I would recommend these books to a beginner sewist because of the simple nature of the patterns, although a basic understanding of the order of construction of garments would be helpful since you can't read the pattern instructions. Finally, an example of pattern instructions that are less helpful than Burda's! And the newest addition, courtesy of my husband is "Kids pants and skirts" - ISBN 978-4-529-052229-0. This one is for heights 100cm - 150cm so I still have plenty of time to make things for Anna from it, plus I can use it for Toby in a few years time as well. So KayC, I hope this was of some help! Unfortunately I can't show you any more finished garments since I've haven't made them, but these books are lovely to look at even if I haven't sewn from them. 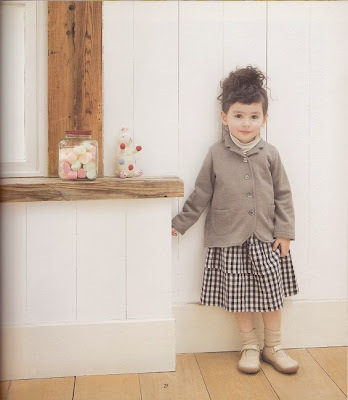 The mix of fabrics and styling is uber cute, and are a great resource for inspiration. How cute are those models. Almost makes me wish I had kids ........ almost! Seeing these books makes me wish I still had little kids to sew for. 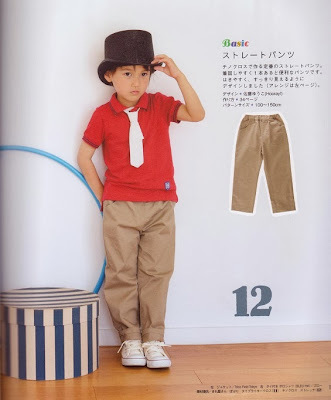 I like the Japanese aesthetic in kids clothes too. 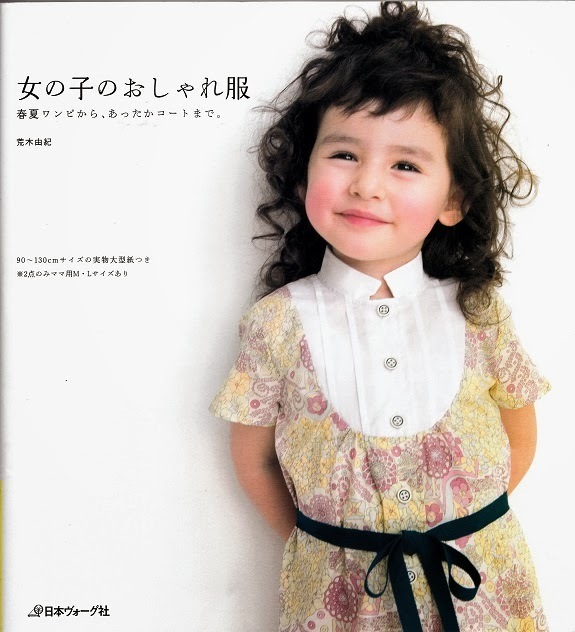 I have a few Japanese books in womens wear, but have only made a few of the patterns, and apart from one or two, I think that the patterns suit young, ethereal waifs of which I am not. Hi Kristy, thanks for the inclusion :). I never see the last book, have to check it out, thanks for sharing! I have the Fashionable Clothes For Girls and have made a few things from that one. I really enjoy how simple the patterns are and fluff my way through the picture instructions. I do find it a little frustrating trying to interpret how to put the garment pieces together whilst translating Japanese text. So glad they are now producing English instructions!!! Thanks Kirsty. I might do some easy kids sewing this week! The other books look so good. Don't tempt me, lol! Might be a good Xmas gift.